Every now and then, we fly anglers fall into a sweet state of grace -- where the fish climb all over our flies and we spend more time playing fish than casting. On Wednesday morning, I was lucky enough to find Pink-O-Rama at Dash Point Park. I arrived at the park at about 7 a.m., and I didn't expect such a great time. I expected a crowded parking lot -- and perhaps more cars and anglers than fish. I know it's been good -- at times -- during the past two weeks, but the big Pink Run of 2009 hasn't really hit high gear on the beaches. That all changed on Wednesday. The parking lot was only half full, and anglers were well spread out over the beach -- as the tide was out. I couldn't tell whether it was slack tide or not, but the current was very, very slow. I usually drive over to Dash Point State Park when it is crowded chaos at Dash Point Park, but the vibe was very, very mellow. As I rigged up my rod, I noticed the nervous water that a school of pink salmon makes as the fish swim into an area. That push of fish reminded me of some good advice from anglers on the www.washingtonflyfishing.com saltwater fishing message board. Roger Stephens recently shared his thoughts about keeping the fly near the surface when you see a school of pink salmon near the surface. I didn't want to go to a floating line, but I strung my clear intermediate line and tied on a very lightly weighted, hot-pink, sparkle chenille Wooly Bugger. That Wooly Bugger -- which had a very long tail and no hackle -- looked a lot like the flies Steve Saville ties for Dash Point pink salmon. I have a couple of Steve's flies -- thanks to a fly swap about a month ago in Gig Harbor -- and he showed me others when I bumped into him at Dash Point about two weeks ago. My pink Wooly Bugger was slender, elegant and long -- and I loved how it undulated through the water. Thanks to Steve, I felt like I had a taking fly. A pink slammed the fly on my third cast -- and ripped off line like a coho salmon. A big male pink was soon finning around at my feet, and I slid the barbless hook out and let it go. Two casts later, another pink walloped the fly. Then it got really slow -- at least where I was standing. I could hear anglers whooping it up about 300 yards down the beach -- toward Dash Point State Park. I figured a big school of pinks had moved in with the incoming tide. I also figured that the fish would eventually reach my spot. Nearby boaters raced off to the ruckus, but I kept my spot, kept casting -- and kept cleaning seaweed off my flyline. About 20 minutes later, a huge school of pinks pushed into casting range, and the catching got downright silly. I got bit on nearly every cast -- even as nearby Buzz Bombers eked out only a few fish. I could only suspect that the fish were indeed looking up. A lead Buzz Bomb is pretty hard to fish near the surface -- but a Woolly Bugger weighted with the tiniest bead-chain eyes I could find is easy to keep near the top. The incoming tide even washed away the floating weeds. The water 20 feet off the beach was gin-clear, and I could see pinks hit my fly in a blur of sliver sides and white water. The fish were rolling and boiling all over the place. Another fly angler -- his name was Darrell -- showed up and asked what I was using. I gave him a couple flies, and he checked into Pink-O-Rama. The fishing was so hot that I expected a strike on every cast. Fish rolled and porpoised within a few feet of my waders, and it all reminded me of the fabulous fishing during the Big Pink Run of 2007. This was even better, but it wouldn't have been nearly as good if I hadn't glommed onto the tips from Roger and Steve. I had to go to work, and I left that big school of snappy fish while they were still hot pink. But it was a morning to remember. I kept a fish to grill for lunch -- and dinner. I'll be back on the beach in a day or so for more pinks, but I will never have a better two hours of Pink-O-Rama than I savored on this day. The Big Pink Run of 2009 is finally here. I couldn't sleep Friday morning -- it was the eve of a week of vacation, and I had plan after plan rolling around in my head. So, I got up, threw on some clothes, threw some new pink salmon flies into my box and threw the Subaru onto Interstate 5. I got to Dash Point State Park a short while later, and I waded out onto that big sandbar. The tide was coming in -- and, oh my gosh, so was a big school of pink salmon. The pinks made a beautiful, nervous-water push, and my fingers shook a little as I tied on one of my new pink salmon flies. OK, the fly is just a beadhead -- a tiny beadhead -- pink Woolly Bugger tied with sparkle chenille and a longish marabou tail. The fly looks like an oversized crappie jig -- it's just that simple. Anyway, the school was right about 30 feet away when I made my first cast, and a nice pink ate the fly and flipped into the air. All was sweet in the world. I managed to hook three more pinks -- lost two of them -- before the school headed down to the madness that was Dash Point Park. I couldn't see many details at my distance, but it was clear that the pier was rapidly filling up with anglers. I could hear the pink Buzz Bombs knifing into the water -- at least in my mind. That first big school of fish convinced me that the Big Pink Salmon Run of 2009 will actually happen. I suspect that all this is a Better Late Than Never kind of deal. The incoming tide started pushing me back to the beach, but another school -- or was it the same one circling around? -- breezed by, and I hooked two more fish. Bright pinks are hot, hot fish. The fish really liked a slow strip -- pull, pull, pull, pause... pull, pull, pull. The line would just tighten up, and I set the hook with a hard strip of my line hand. One of the sweetest parts of fishing pinks is that you see the school push in, and you expect that tightening-up strike on every cast. I had to leave -- I only fished for about 90 minutes -- and I drove south knowing I wouldn't pester pinks for about 10 days, as I'm wandering around Oregon on my vacation. I'm kind of sad to miss so many days of what is finally shaping into an epic run, but the pinks will still be rolling toward Tacoma when I get back. And I'm looking forward to exploring parts of the Oregon coast -- with fly rod and surfboard -- wading around the Deschutes River and hanging out with my family. My daughter, Courtney, wants to hook a few dawn smallmouth bass on the Columbia River. My partner, Heather, is of the same mind. I'm sorry about the lack of photos. My camera was left in the car Friday morning as I rushed for the water. I guess I could blame that blunder on a lack of sleep, but I think it was a little bit of Pink Salmon Fever. I'm thinking about all the evening hours I've spent during the past 40-odd years watching fish rise, boil or swirl at my feet. I'm thinking about all this because I spent about 90 minutes casting a fly at scattered pods of pink salmon at Dash Point Wednesday night, and all I got was a strong take and one head shake. I did strip in many green, slimy weeds. The fish were scattered and sparse -- the Big Puget Sound Pink Run of 2009 is just getting rolling -- but the fish moved in shallow just at twilight. Nice pinks jumped and swirled almost at my feet. I'm sorry to say that I didn't hook any of those fish -- probably from lack of skill. I think I have to pester those pinks a little more on Thursday -- and perhaps on Friday morning. I suspect I'll be on the pinks for a couple of weeks, as I'm eager to reenact the hot fishing I enjoyed back in 2007. My friend Steve Saville, who haunts the www.washingtonflyfishing.com saltwater board, was on the beach when I arrived. Steve didn't recognize me at first, but it was great to shoot the breeze. I wandered off to gear up -- by some miracle I had found a spot in the parking lot -- and I watched Steve hook up to a nice pink. Steve lost that pink right at his feet, but we should all land a few pinks this year -- biologists say Puget Sound will get 5 million of the fish this year. Steve hooked all of his fish on his secret pink salmon fly. I promised not to share the fly with the world at large, so I won't. It is, however, pink. It's hard to go wrong with a pink fly for pink salmon. Steve is a great guy, and he lives near Dash Point, so he knows the drill really well. Steve gave me a few pointers -- and reminded me that big pink salmon runs off Dash Point are a fairly recent deal. Pink salmon heading to the Puyallup River swim within easy casting range of Dash Point. An estimated 700,000 pinks are heading to the Puyallup this summer, so it's easy to see why Dash Point is a busy spot. Dash Point isn't quite the madhouse it will be when this run really gets cooking, but there are some testy folks in the parking lot, and you have to dodge pink Buzz Bombs if you walk onto the pier. You can see Steve Saville in the far distance. He was the only fly caster on the scene until I showed up. I think Puget Sound salmon are a double-edged sword for anglers. It's great to have a big run of fish, but salmon also attract hordes of anglers, and some of them are not pleasant people. Some people -- crazed with greed, big egos and who knows what else -- act like morons whenever salmon arrive. Luckily, most anglers remain sane and friendly. I talked to a nice man who owns a house on the beach, and he is happy to see anglers having a good time. 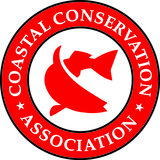 But the private property owners along the beach don't want hordes of anglers passing over the park boundary and tromping around on their land. I understand this, as I'd hate to see a bunch of strangers loping around my front yard for most of August. 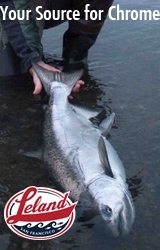 We anglers can enjoy the fishing at Dash Point -- especially when massive schools of snappy pink salmon finally arrive -- but we should respect the local folks. I just hope for at least one evening where the pinks are silly for my fly. I went out to Dash Point -- a pink salmon magnet every other year -- last night, and I saw very few fish and hooked even fewer. Actually, the only fish I hooked on my pink comet flies were sculpin. I did see a couple of small schools breeze by, but the evening was more about casting and thinking about pink salmon than catching pink salmon. The tide was high and starting to fall when I arrived, and there was quite a bit of salad -- seaweed -- in a few spots. I think it's still early days in the Big Pink Run of 2009 -- about 5 million pinks are expected to return to Puget Sound this year -- and we'll see the big, aggressive schools of saltwater pinks any day now. I hope so, anyway. I hooked and released a couple of pinks up near Hoodsport in Hood Canal late last week, but I try to stay away from that busy spot most of the time. I keep telling myself to be patient, but it's difficult, as I remember the wonderful fishing of 2007, when about 3 million pinks rumbled into Puget Sound. Pinks return to Puget Sound every other year. I guess I'll keep going out to the beaches and hope to be there when a big, snappy school rolls in. It's going to happen soon. I hope so, anyway. Dehlan sent in a photo of a Callibaetis mayfly spinner for the current photo contest, which is supposed to be of solo fish. I'm trying to decide whether it belongs in the judging -- there isn't a fish in sight -- but I'm posting it anyway, as it is a cool shot. Callibaetis spinners fall to the surface of lakes -- and some slower streams -- by the millions on summer mornings and evenings to lay eggs and die, and I'm addicted to those times. Trout porpoise on the flies, which flop around on the surface film or lay motionless. What do you all think? Should we bend the rules for Dehlan, or save the shot for a bug photo contest, which could start after Labor Day? Remember, this FISH photo contest runs through Labor Day, and anyone can send ONE photo of a fish to dryflyguy2001@yahoo.com. First prize is one dozen prime Deschutes River trout flies. Second place wins 6 Deschutes flies and third place takes three hot flies to the Northwest's best trout stream.